Partners: Dhitech scarl, Advantech, Alenia Aermacchi, Ansaldo Energia, Ansys, Apphia, CADland, Consorzio Roma Ricerche, Dassault Systèmes, DHL, EKA, ESI Italia, GE Avio Aero, GE Oil & Gas, ICT Usage Lab, Innovars, Lutin Userlab, Politecnico di Milano – Osservatorio Ge.Co., Politecnico di Bari, The cube, Università degli Studi di Sassari – Dipartimento di Scienze Umanistiche e Sociali, CICII – Università del Salento. The KLIOLab is a collaborative work environment shared among partners of different nature: industrial, academic, public and individuality of the companies. The industrial context of reference is the aviation industry, particularly in the field of aero structures and propulsion. The aviation industry is characterized by having significant connections with the ICT industry and the mechanical and energy. 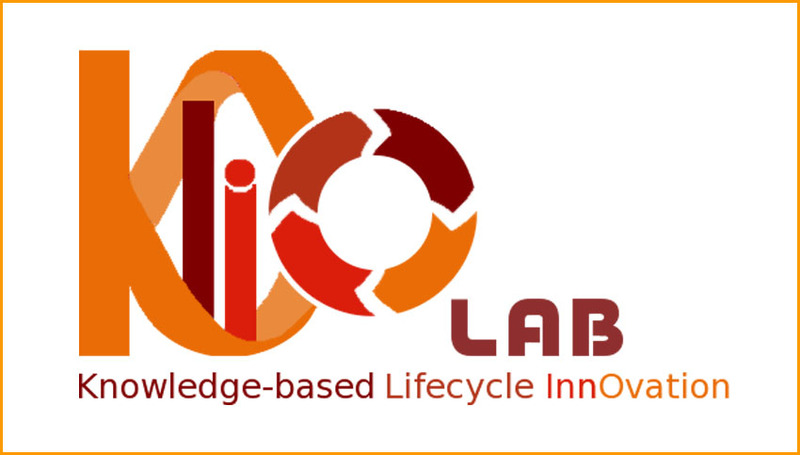 The mission of the KLIOLab is to encourage the design and development of innovative solutions for real problems, through the creation of cooperative and multidisciplinary contexts, in other words, interdisciplinary working groups that analyze the concrete problem from different points of view, identify innovative solutions, develop prototype concrete cases, verify the effectiveness of the result, and finally, the solution industrialization. The issue on which the current innovation activities are concentrated is the strengthening of the supply chain through the introduction of innovative technologies and information systems which could connect activities carried out in different production centers. The goal to be pursued is the reduction of the design, development and production time and the increasing of the quality of the result. The KLIOLab aims to contribute to economic and cultural growth of the Puglia industrial system, producing various types of results: 1) new methodologies and products immediately applicable in industrial contexts, mainly aeronautic, in order to to enhance the productivity, competitiveness and presence on the market, 2) start-up companies industrializing innovations and bringing them to a wider market than the aviation industry, focusing mainly towards industries characterized by a complex final product (mechanical energy), 3) create new experts in the development of technological innovation projects for the aviation industry, experts in the aeronautical process of product design and manufacturing, experts in information systems supporting the management of aeronautical data in the context of supply chain management, experts of the technological relationships among aviation supply chain partners. KLIOLab intends to achieve the efficient manufacturing of innovative and high quality aviation products, at competitive cost. This objective can be achieved through the innovation of management procedures of supply chain programs and more efficient management of relations among partners, in both business models and infrastructural ICT systems. Researchers from the Laboratori participated to innovative projects promoted by KLIOLab and conducted within KHIRA project. The projects aimed to rethink the aeronautical data management systems, created and maipulated during the aircraft design, moving from the individual vision centered on the single company, towards a of supply chain perspective characterized by an integrated data management. The projects carried out within the KLIOLab were assigned to working groups composed of industrial partners, who can provide the elements that characterize the context and the characteristics of the required solution, ICT partners with analysis skills of needs and of development of solutions information, academic partners who contribute with advanced methods of work and objective assessments of the quality of results, and students and trainees contributing with innovative capabilities and the aim of developing knowledge and skills applicable to future production contexts.